In the spirit of continuing on with our ‘driving simulator myths series’ (see Part 1 for the previous installment), I can’t help but comment on a puzzling trend: Hexapod-based driving simulators continue to be deployed despite the body of evidence that their time has come and gone. For example, recent announcements of new driving simulator installations at the Renault Technocenter (near Paris, France) and at the Applus+ proving grounds (near Barcelona, Spain) indicate that legacy hexapod-style simulator implementations are carrying on, even though a number of newer, human-centric and engineering-class solutions are now available. 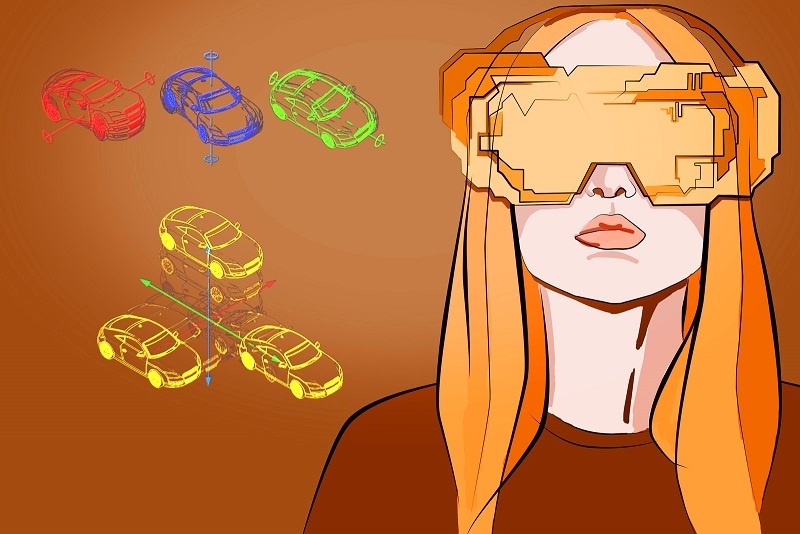 So the question is this: In a rapidly evolving automotive landscape that involves such things as ADAS, V2X, and AI-learning, why would legacy simulation technologies persist? Is it simply a case of old habits dying hard? Perhaps not. Let’s explore one possibility that is, ironically, closely related to driving simulator technology itself: Human perception. When it comes to dynamic performance, we can assert that placing big motion machinery in a driving simulator lab is akin to bringing a bull into a china shop. The subtle nuances, the most valuable aspects of subjective evaluations, are at risk of being lost from the very start. Newton’s second law tells us that more massive things require more force to accelerate them. Therefore, massive motion machinery, by its very nature, carries a certain penalty when it comes to acceleration capability (motion cueing capability). That penalty is either dynamic performance or power consumption. Take your pick. One theory regarding the bigger-is-better myth is that it is related to fundamental human psychological preferences. For example, published literature shows that there is a direct correlation between physical size of objects and aesthetic preference judgments. Because Ansible Motion is in the business of human sensory immersion, we fully understand the power of such preferences. Could it be that 'big' driving simulators simply ‘look better,’ more appropriate for the job at hand, and this is why they continue to be deployed? It is quite possible. Road cars are indeed big and heavy (let's say 3,500 lbs or thereabouts), so if the goal is to simulate a real car, it may seem logical, at first glance, to imagine some sort of motion machinery that can throw around that kind of mass. But upon second glance, perhaps not. Aircraft simulators, for example, certainly break this logic, i.e., flight simulators do not typically accommodate the mounting of real, massive airplane fuselages on top of motion machinery. The secret, of course, is understanding that Driver-in-the-Loop (DIL) simulators are purposed towards moving people around, rather than cars. As soon as one straps on a set of VR goggles, this becomes quite clear, i.e., all the DIL motion machinery underneath the seat is there solely to provide motion stimulation to a human being. Bringing this back to practical applications: Can a qualified evaluator (driving or occupying) in an engineering-class DIL simulator detect, in a histogram sense, a 2nd order tire vibration problem that it is being transmitted through the rear of the car? Yes, absolutely - assuming the vehicle and environment (road surface) models are validated. Can the same be detected in a medium-to-large hexapod based simulator? According to fundamental physics, probably not. Carrying this forward a bit: Can perceived vibrations in an engineering-class DIL simulator be measured and correlated with subjective assessments? Again, yes. This is because human evaluators/participants will not parse 50 Hz vibrations into up or down (displacement domain) movements – They will instead detect the existence of these vibrations (which are of very small amplitude) and then be able to relate them to known vehicle sub-system attributes. Yes, size matters. But it's not what it seems. Just as boxers train diligently to “get down to their fighting weight,” driving simulators deployed to the front lines of modern automotive product developments ought to be lean and mean. DIL simulators should be practical, useful tools that can deliver dynamic capabilities attuned to human participation in experiments. Otherwise, what is the purpose? Ansible Motion's solutions are a breed apart. To learn more about our unique approaches and technologies, download our FREE white paper, “10 Advantages of Ansible Motion DIL Simulators”.